While in March we noted that debt-laden millennials were set back an average of $140,000 vs. their parents - a problem compounded by the fact that students aren't just borrowing money for tuition; their student loans cover rent, food and other bills, leaving them with massive interest payments and in many cases, little prospect of getting ahead - much less saving for retirement. 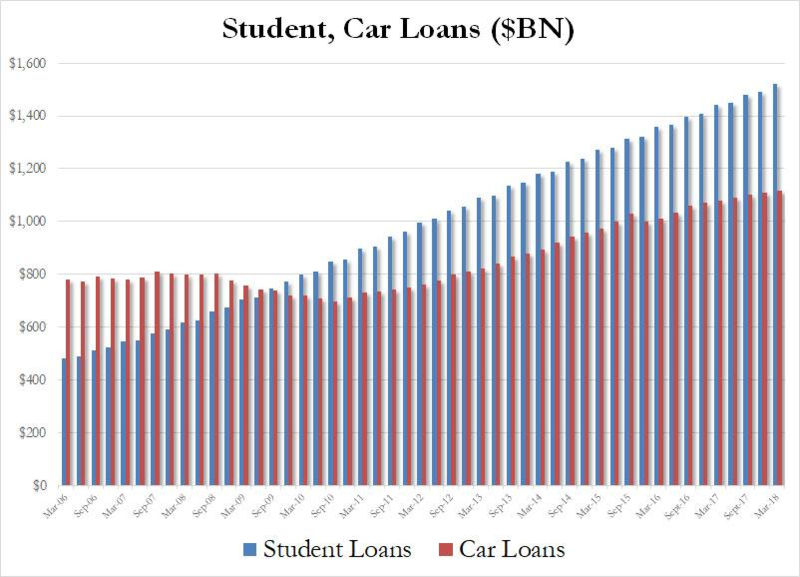 While millions of Americans are drowning in student loans - 101 people have the ultimate albatross around their necks; student loan balances exceeding $1 million, according to the Wall St. Journal. Five years ago, there were just 14 people with loans that large. 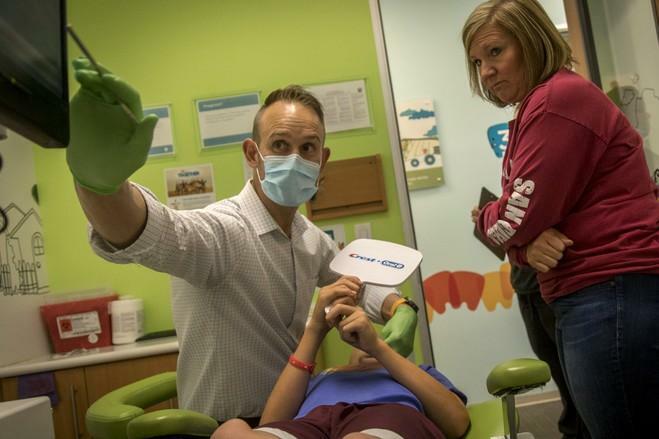 Utah orthodontist Mike Meru, 37, is one of them. After graduating from Brigham Young University with no debt and a new marriage, Meru borrowed $601,506 debt to attend USC's orthodontics program - while his new wife Melissa finding work as a USC administrative assistant to save on tuition. After a few years, his student loan had swelled to $1,060,94. And despite Meru's $225,000 salary in 2017 which leaves him with roughly $13,333 per month after taxes, he makes monthly payments of $1,590 by taking advantage of a government-sponsored debt repayment program. Without the program which still leaves his debt growing at $130 a day, Meru's monthly payments would be $10,541.91 according to an email from his loan servicer. At this rate, Meru's loan balance will exceed $2 million in 20 years. All is not lost for Meru and many others like him, however - because thanks to the repayment program, Meru's $2 million balance will be forgiven after 25 years. And while crushing Meru's debt load places him in the upper echelon of those drowning in student loans, he attempted to mitigate the financial pain early on, before rates jumped and the snowball began to gather speed. USC charged tuition of $56,757 in Mr. Meru’s first year, American Dental Association records show. To save on expenses, the couple lived with his parents. He drove a Buick inherited from his wife’s grandmother for the hour-plus trip between Newbury Park and USC, located south of downtown Los Angeles. After his first year, and with his wife’s tuition discount, he owed $43,976. By Mr. Meru’s second year, the interest rate on new student loans jumped to 6.8%, and USC raised its tuition by 6%. By the end of that school year, he had taken out a total of $115,000 in loans, which also covered a summer semester. Interest rates were roughly triple what he had planned for. Between Mike Meru and the other 100 people with $1 million or more in student loans, US taxpayers will be on the hook for around $200 million - again, just for those 101 individuals. Unfortunately, that's just the tip of the iceberg. 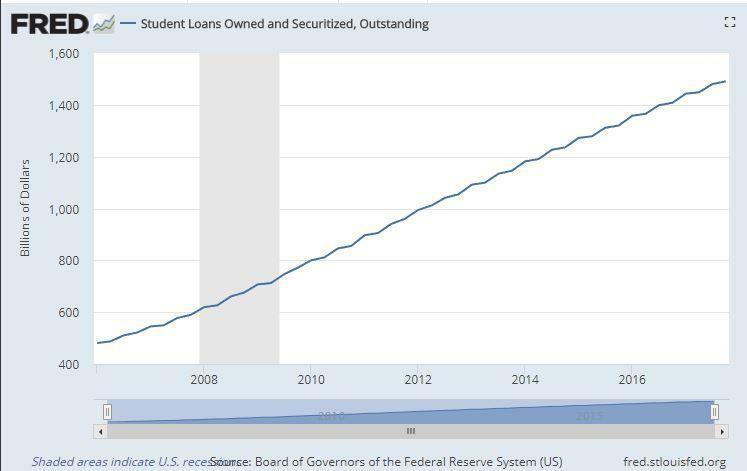 While the typical student borrower owes $17,000, the number of those who owe at least $100,000 has risen to around 2.5 million, nearly 6% of the borrowing pool, Education Department data show. Outraged at his situation, Meru started a national dental-student movement in order to lobby Congress for lower rates on grad students. The effort, according to the Journal, went nowhere. Some dental school educators, meanwhile, have begun to worry about prohibitively expensive tuition. USC's dental school is one of the costliest higher educations one can attain - at $91,000 per year, and $137,000 when living expenses are factored in. Sadan says USC raised tuition "to cover the cost of delivering a top education." (aka a top-tier dental school can take maximum advantage of the student loan racket). Bottom line: with so many borrowers set to default on their student loans, those who can't make ends meet will be able to pay roughly 10% of their income for 25 years. The remainder, such as Mark Meru's $2 million balance, will be an obligation of the United States taxpayer. Lord knows the banks who facilitated this scheme aren't going to cover it.